A high-ranking officer in the California National Guard said this week that they will not comply with Donald Trump’s transgender military ban. 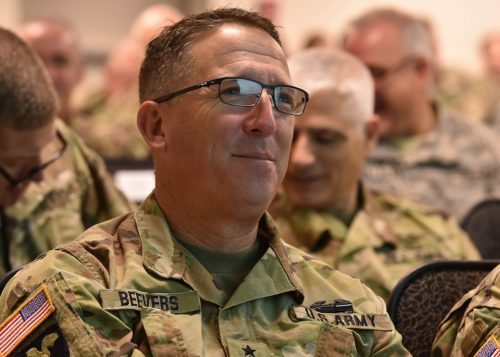 “As long as you fight, we don’t care what gender you identify as,” Major General Matthew Beevers, the assistant adjutant general for the California National Guard, told the California State Assembly’s Veterans Affairs Committee on Tuesday. He said that he knew of two transgender people in the California National Guard, but that there is no official count. “At the end of the day, we’re not compelled to measure it, so we don’t,” Beevers said. “Nobody’s going to kick you out,” he said, referring to people in the California National Guard who might be considering transitioning. “What the California National Guard said, and what we’ve said in our lawsuit, is that the military ought to treat them just like every other servicemember,” a spokesperson for Equality California told The Advocate. Last month, a Supreme Court decision struck down two injunctions that were preventing the Trump administration from implementing a ban on transgender people in the military. An appeals court struck down another injunction. But one injunction against the ban is still working its way through the appeals process and is currently blocking implementation of the ban. The California National Guard is a federally-funded part of the United States National Guard. If that final injunction is overturned, the Trump administration may face a battle to implement the transgender military ban in the National Guard.